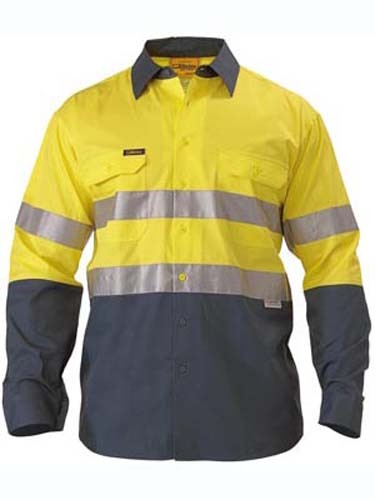 3M 8910 Reflective taped 'Hoop' pattern around body. 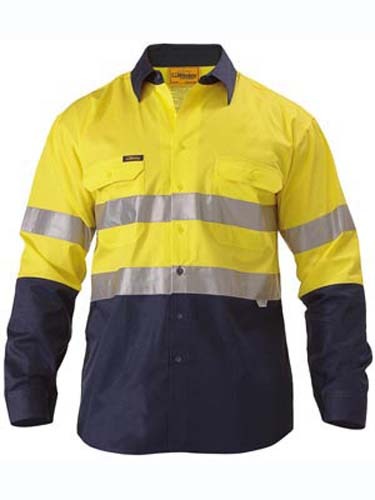 Vertical cotton mesh back ventilation. Left pocket with pen division. Contrast coloured lower panel on body and sleeves. 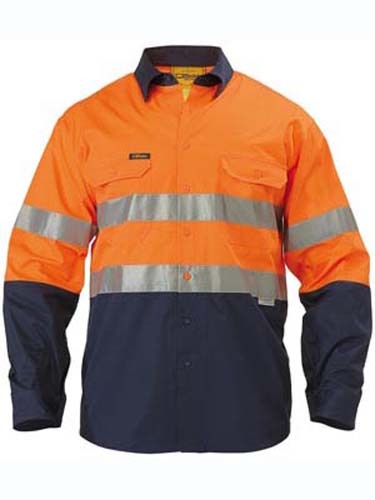 Yellow/Navy, Orange/Navy & Yellow/Bottle comply to day/night AS/NZS 4602.1:2011. 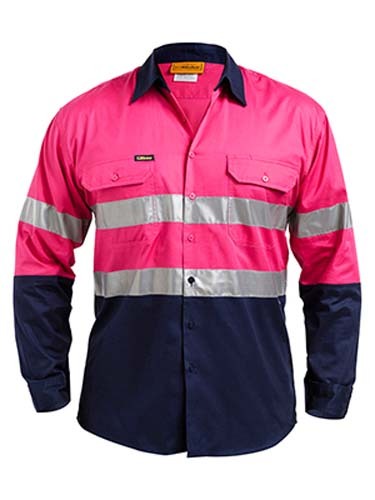 **Pink/Navy complies to night time Hi Vis AS/NZS 4602.1:2011 only**.